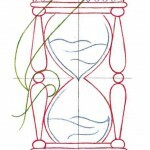 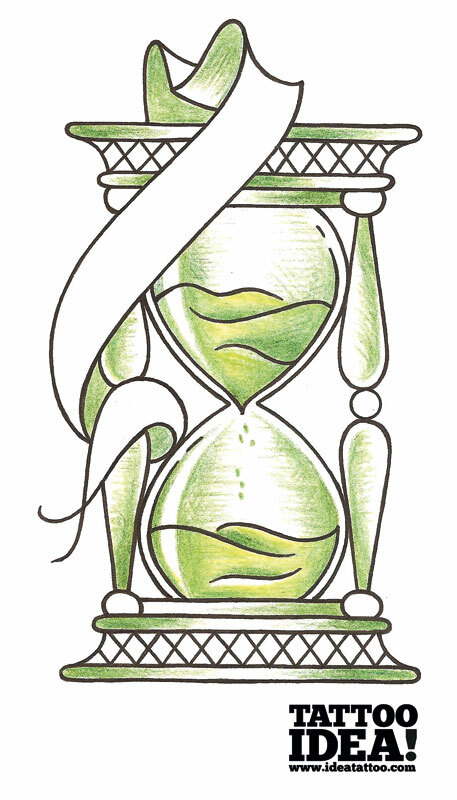 The hourglass represents the concept of “time flies” or the inexorable passing of time. 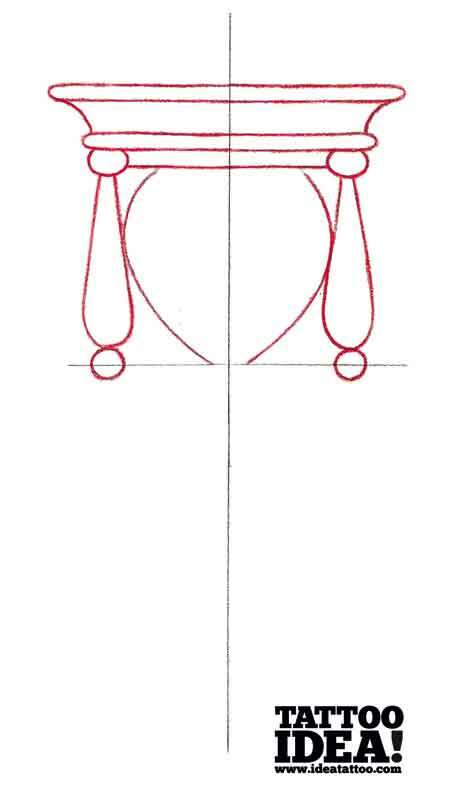 It is also a symbol of polarity and the two triangles that meet in the middle where the sand passes through, are communicating vessels. 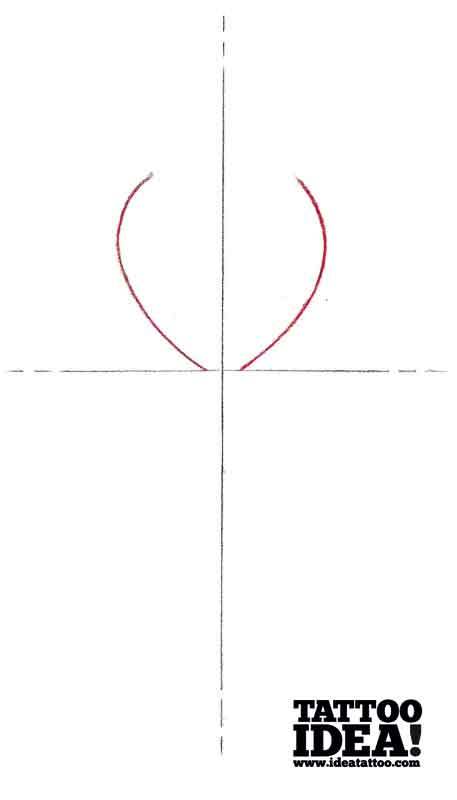 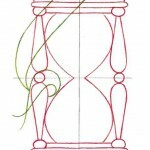 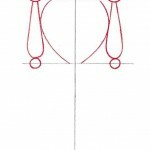 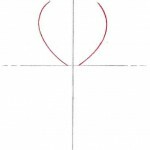 Now let us show you how to draw a traditional style hourglass. 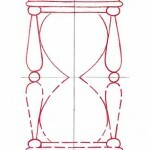 Add the first half of your hourglass (part 1). 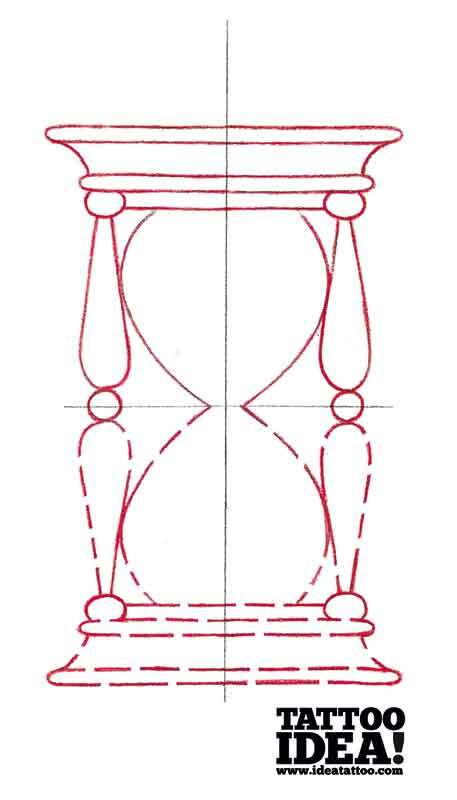 Add the first half of your hourglass (part 2). 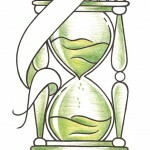 Duplicate the design to complete the other half. 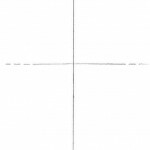 Add a banner (for a name or a script). 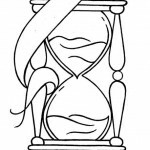 Add the details such as the sand and decoration on the hourglass. 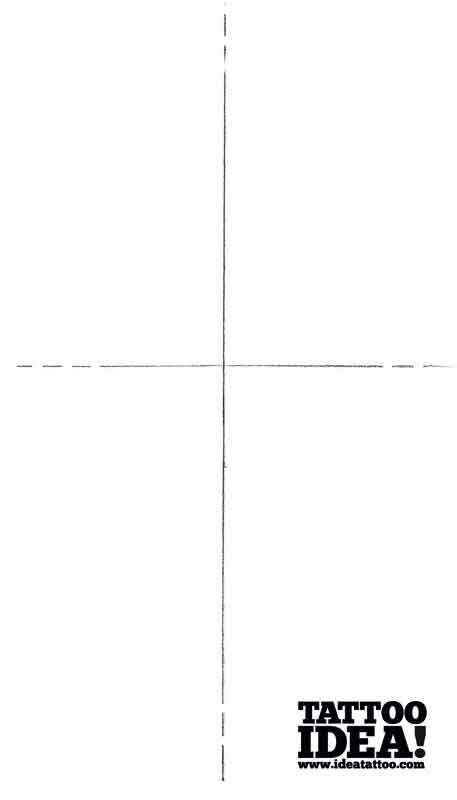 Go over the outlines in black. 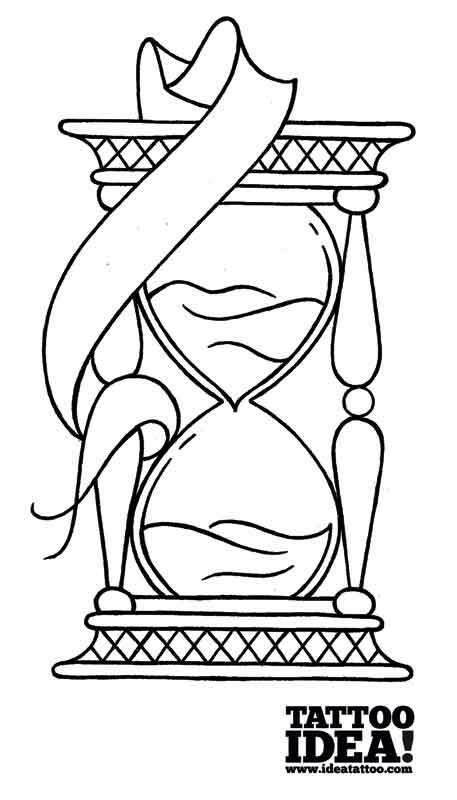 Then apply the shading or colour. 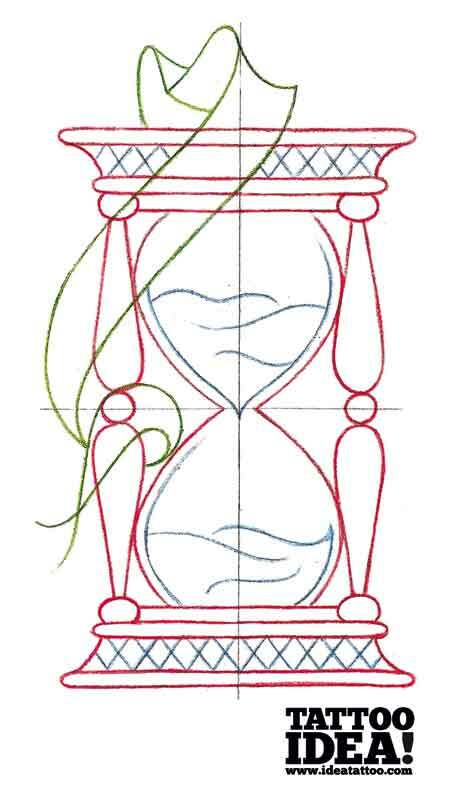 In a tattoo polarity can be represented using symbolic images (male and female, life and death, sky and earth or water) drawn in the two halves of the hourglass, contrasting and complementing each other at the same time. 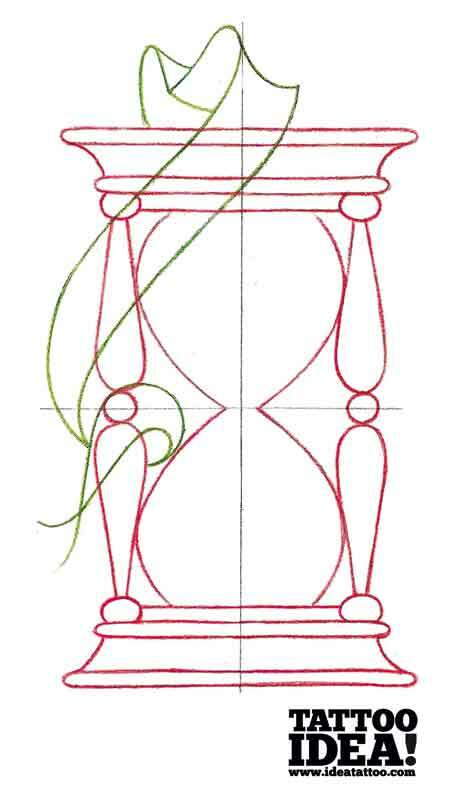 Traditional hourglass design by Morbix, © 3ntini Editore Srl. 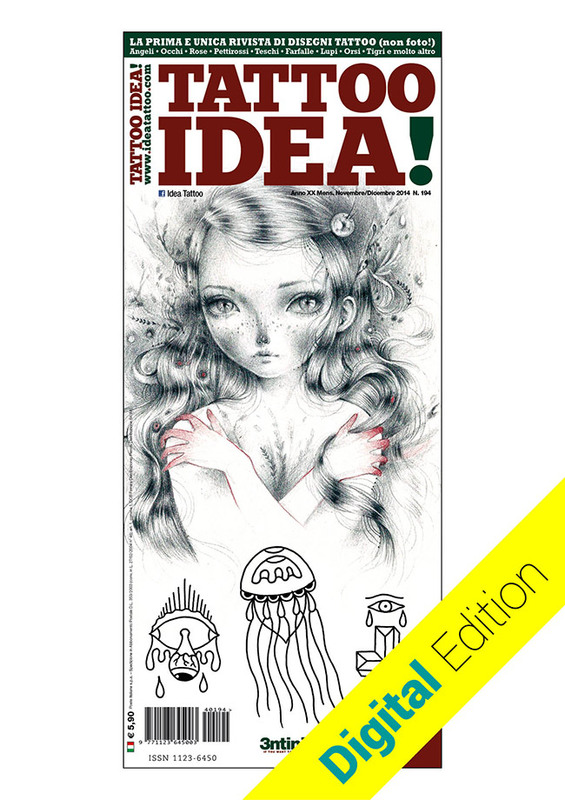 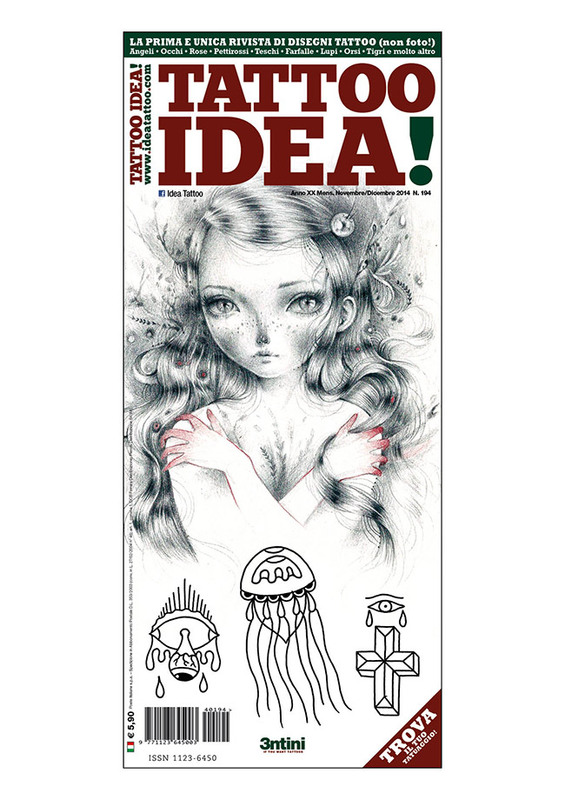 The Tattoo School tutorial is exclusive to Idea Tattoo, the magazine and the website. 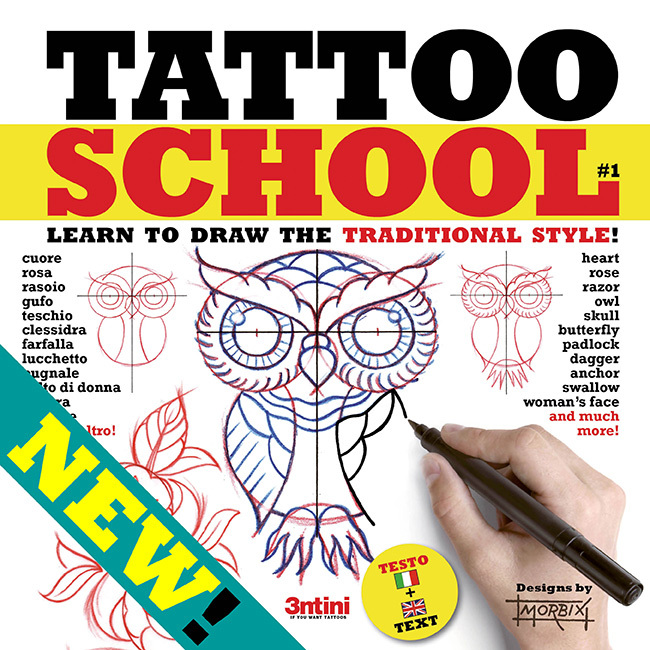 You can find this tutorial also in Idea Tattoo 194.